My first exposure to scott crow (he prefers his name not capitalized) was his book Black Flags and Windmills: Hope, Anarchy and the Common Ground Collective. Now in its second edition and reviewed by Trevor Hultner nearly a year ago, it continues to be one of my biggest inspirations. scott’s journey is compelling, and filled with everything you could possibly want in a story: Humility, courage, drama and all the rest. I consider all of these examples of anarchism in practice to one degree or another. The second example is a festival held in late June for over the past decade or so sponsored by the Free State Project (FSP). The FSP is an organization in New Hampshire that is dedicated to getting 20,000 libertarians to move there in order to help create counter-power to big government. Sometimes this takes place in agorist contexts and other time it takes place in political ones. In any case while the FSP attracts many folks of different libertarian persuasions, unfortunately left-libertarians and those sympathetic to left-libertarianism tend to be, as they typically are, a fringe within a fringe. As such, Porcfest is geared towards the right-wing tendencies of market anarchism more often than not. That said, Porcfest has no centralized force dictating rules and regulations. There are some laws, restrictions and rules that everyone must abide by so that the festival can exist, but in essence it acts as a sort of temporary autonomous zone for libertarians to express themselves. I’ve gone to this festival for the last 6 years or so and even as a left-libertarian I’ve always had a great time. Part of my enjoyment comes from my involvement with an organization called the Alternatives Exposition (AltExpo) which hosts many ideas the FSP won’t or can’t host for this reason or that. We have talks on alternatives to the mainstream like alternative energies, alternative medicines and alternative political philosophies, most notably anarchism. One such speaker we have gotten to present on anarchism is scott crow. In 2014 during scott’s book tour for the second edition of Black Flags and Windmills he made his way up to New Hampshire to give a talk on it. The talk was one I had already heard at the NYC (A) Book Fair and it focused on scott’s stories of how anarchists helped post-Katrina. They were powerful then and they continued to inspire me at his talk. So powerful in fact that some were moved to tears. Overall the audience was very receptive even though there were obvious ideological divides between scott and much of his audience. Nonetheless scott managed to bridge his divide with the audience by speaking honestly, plainly and focusing on commonalities while not ignoring or underplaying differences. scott had no qualms calling out things like racism and climate denial, both controversial subjects for a libertarian audience. I remember one audience member saying that while they didn’t agree with scott on everything they appreciated his talk. That’s the sort of person scott crow is: An articulate and genuine thinker who can bridge ideological divides. One thing scott has never seemed to be is dogmatic. Nor is he an academic. In Emergency Hearts // Moltov Dreams: A scott crow Reader (GTK Press, 2015) he makes his case for anarchism through some of the least rigid and most simple arguments possible. I don’t mean “simple” in a disparaging way. Instead, I saw scott demonstrate his ability to communicate thoughtful ideas about interesting and complex subjects. And not only that but these ideas are great fodder for discussions further down the line. The book isn’t without its flaws as it is light on incisive criticism. But that isn’t the point of the book and scott is at his best when he is a storyteller or asking questions. He constantly employs these tactics in his telling the history of the Zapatista movement and his concept of little “a” anarchism. The Zapatistas, a militant anarchist group in Chiapas, Mexico inspire scott and particularly with the phrase: “You make the path by walking it.” For both the Zapatistas and scott, the way to revolution isn’t a “1-2-3” process that can be easily mapped. It’s a progression of minor revolutions, of calm and then further social unrest which then may culminate in many things or nothing at all. His discussions on strategy and history including animal rights were probably one of the most interesting parts to me. And especially his questions of what makes veganism and animal rights the most effective and what doesn’t. As someone who hasn’t deeply explored these topics it was rather interesting to see the divides that makes up the animal liberation movement. One particularly funny thing that scott would do is refer to a concept called “level 5 vegan” implying that the liberation movement for animals has sometimes lost sight of what was useful or good for animals and instead dwelt on who was individually the best at liberation. In general don’t go into this book expecting to find the Answers you have been looking for within anarchism or about much else. But expect to be enthused by scott’s charming ability to convey ideas. The only criticism I have of the book is that it is a collection of scott talking off the cuff, and he can be repetitive across the interviews. With that being said, a casual read through this book over the course of a week may help or else you could pick and choose interviews/conversations based on your own interests. In this review I’ll do exactly that by focusing on scott’s ideas on media, cooperatives and animal liberation. One of the things scott has done with regards to anarchist media is helpeing with an organization called Agency. Agency is an “anarchy PR project” that aims to fight back against stereotypes of anarchism as chaos and violence. It releases commentaries, press briefs and more in an effort to undermine the prevailing attitudes about anarchism and those who invoke it. scott explains that the media is going to have perceptions of us as anarchists no matter what we do. And rather than refusing to ever work with it we can learn to see the media as something to try to use to our advantage. scott points to his success with the New York Times which resulted in anarchism being presented in a relatively fair way to what it may have been by someone who had no idea what they were doing. But given scott has been an activist for over 20 years and thus has ample experience working with “the media” he knows the rules better than some do. Even the term “the media” is better understood under “multiple lens” (pg. 107) given that there are many sources and ways to express ourselves and our ideas through various outlets. We have social media, alternative news sources and even the mainstream news sources can be a boon to us if we (like scott) know how to use them. One of the things that scott counsels is that we don’t need to try to have total control over the narrative we’re presenting. Just simply try to get as much control over it as possible. Work with reporters you feel you can trust and try to stick together lots of individual decent pieces together to create better stories. Create a sort of web of information when it comes to anarchism for easy pointing to. Stick to some basic points that you’d want to see the given article communicate. None of this went perfectly, of course. But because scott stuck to three very basic narrative conclusions, worked with a reporter he had a decent pre-existing relationship with and had some expertise with media as it was relatively successful to what it could have been. An article about anarchism on the front page of the New York Times and with anarchism appearing reasonable! As mentioned before the CGC has been a big influence on me and my aspirations for anarchism being practical. And a lot of what goes into that is the scope, scale and size that the CGC had and used to its own advantage. It certainly wasn’t a perfect anarchist organization and it had its flaws like anything else but a lot of the driving philosophies of it are well worth replicating. One of these philosophies is “…making yourself the change rather than expecting it” (p. 27). 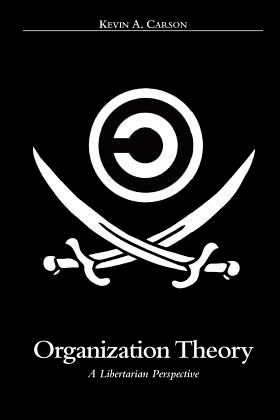 scott uses this idea as a way to highlight and contrast the differences between non-profit corporations and anarchic organizations like the CGC that are based upon solidarity and not charity. Charity is often a band-aid for the short term and doesn’t ask deeper questions about poverty or inequality of access. If someone is down on their luck then a charity might give them some money but won’t do anything to help with their home. Some may counter that that isn’t the point of charity but that’s exactly why charity isn’t enough. Which isn’t to say that charity isn’t helpful and the CGC itself engaged in charity from time to time, particularly in the beginning. But when they had more resources and collective members they were able to ask deeper questions about people’s problems and address root causes more effectively. Instead of “how can we help you” it’s questions like “What do you need for support?” (p. 29) and then just going out there and doing it. Not relying on authority figures to give you permission and not trying to go through big non-profits to do so either. Direct action gets the goods as the old anarchist saying goes and the CGC proved that time and time again. In part they did this by having a lack of overhead costs that most organizations would have at their size. The lack of centralization, formalized hierarchy and overhead costs results in a lot of organizational flexibility for the CGC. In addition, their framing of the community members not as “victims” but as people who have simply been “knocked off balance” (p. 30) allowed them to speak to residents more effectively. I use the word “anarchic” when describing CGC because although it was heavily inspired by anarchist ideas and many members of the organization were anarchists themselves there was often a mishmash of organizational structuring. At its height CGC had around 28,000 volunteers (p. 32) and as a result of this size simply had to marginalize certain voices from the discourse. And this doesn’t even factor in the 2000 people who might be on the ground any given day working on around 150 projects. This was something that scott and other organizers had to help mitigate by creating affinity groups and spoke councils for groups that felt underrepresented within the collective (p. 33). But even these aren’t perfect fixes for an understandably complex problem. In addition these problems often involved life or death situations. As such it’s hard to fault scott or the other organizers who cared more about getting decisions done the best way and not what was most democratic. The situation was so new for many people that some people tried to live up to their own ideals and ignore the situation rather than keep in mind the context that surrounded them. For example, scott recalls how a group of vegan anarchists wanted to help feed the community. scott and the others didn’t say they couldn’t do it but they also discouraged them, reminding them that the community they were in wasn’t there’s but the people of Algier. And as you might expect the folks in Algier post-Katrina didn’t tend to be vegan. 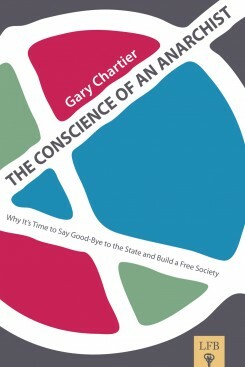 The discussion of the CGC plays back into the philosophy of the Zapatistas and scott’s little “a” anarchism. 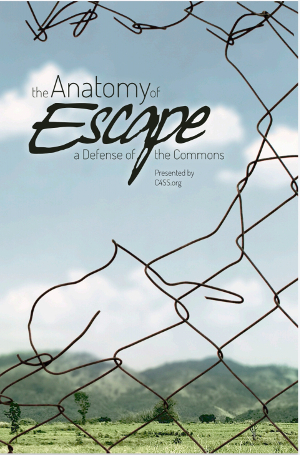 CGC became its own movement for a broader movement and struggle. The means and ends that the CGC strived towards were a big part of the larger struggle towards liberation on other fronts whether that be class based on racially based. For scott you don’t need to have all of the answers, you just need to know a better way forward and the CGC for him was one of those ways. It cultivated great relations within the community and helped do so much for them. scott recounts that some people even remarked that while the government never came to help, anarchists did. Which isn’t to say it’s all proselytizing because it was first and foremost about helping people and giving them the resources they need so residents could get back on their feet. If they want to recognize the person who did it as an anarchist and thus humanize them a bit better, than that’s a happy outcome. But it wasn’t the main intention of their solidarity. Another way to show support, mutual aid and start a conversation is worker cooperatives. Ecology Action (EA) and Treasure City Thrift (TCT) take center stage in scott’s discussions of cooperatives. 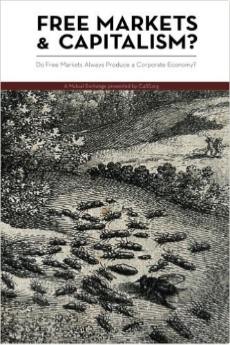 He describes these cooperatives and the others in the country as part of an “anarchist renaissance” (p. 131) that has aided in giving people the experiences of anarchism and anarchist organizing. That said, cooperatives aren’t without their faults as they can all too easily be swallowed up by progressives within the organization who would rather tone down radical rhetoric and ideas. Cooperatives may also have to start playing by too many of the rules of state-controlled markets and be absorbed by capitalism. Cooperatives are also risky ventures due to the weird factor and thus liable to not get the necessary funding and especially over the long-term by banks and such. Thankfully in the era of crowd-sourcing and sharing we’re able to turn to platforms like GoFundMe, KickStarter, IndieGoGo and others to help cooperatives get communally funded. And that’s community isn’t limited to a geographical region but rather the larger anarchist community online and all over the world. An excellent example is the FireStorm Cafe & Books in Ashville North Carolina. FireStorm was able to raise over $13,000 in two months and funded their campaign to 104% so they could get a new space. With support like this FireStorm was better able to diversify their source of resources and not be entirely dependent on loans to get them through the renovation process. I’ve been following FireStorm off and on and recently spoke to a friend and member at the NYC (A) Book Fair and they informed me that things we still going great for them since the move last year. FireStorm, EA and TCL and other organizations like them such as the Lucy Parsons Center in Boston, MA are all part of an effort of mixing the cooperative ethos within anarchism and trying to make markets friendlier to both workers and consumers. All the while trying to fight against capitalism on market-based terms which is entirely possible given the two are separate systems entirely. As scott says, I don’t think these methods are the way we can get to an anarchist society or revolution. But I do think they are one tool that anarchists can and should use if they want to successfully help the economy transition from state-capitalist to anti-capitalist and anti-state. scott crow found that “One Neat Trick” to get You to be a Level-Five Vegan; Other Vegans Hate Him! One of the things that scott points out is that some activists seem to treat getting arrested as some sort of badge (ahem) of commitment to the cause. Due to things like this social activism tends to be stratified between those who are “street smart” or those who have been arrested a bunch of time or fought enough cops. Fight enough cops and you get your social capital for the year! Unfortunately this model of activism leaves many people out of it and evaluates those who don’t want to go to jail or risk injury as somehow “lower’ than those who do. Parents who have children lower-income workers without health insurance, illegal immigrants, youth, the less bodily abled and so on are all prominent classes of folks who may have trouble being so macho. And yet it seems like anarchist organizations or general ethos tends to revel in those who do the most “activism” for The Cause instead of those who actually achieve the best results. Which isn’t to say that the best results are the only things that matter but it should surely be more important than flexing your muscles at cops for “liberation”. But sadly this is how, according to scott, some folks see the animal liberation movement as well. For example, scott raises female chickens in his backyard. He tries to let the chickens roam as freely as possible and he doesn’t lock them up. But for some animal rights folks this would be exploitation! scott instead sees it as a sort of “mini-sanctuary” given that the female chickens are left to him from folks who don’t want them anymore, otherwise he’d be leaving chickens to be killed. The key point I took from Russell’s arguments here is that we should be careful in ascribing too much meaning to animals and the sort of suffering they endure simply based on their reactions to it. Or at the very least caution our claims more than Hribal does in his book. scott is not necessarily guilty of this as he claims that it isn’t unreasonable to think that animals experience pain and emotions like humans do. And that, in addition they likely require some of the same basic things humans do (freedom, respect, kindness, etc.) . But I think it’s an important thing to keep in mind, especially when we are going to advocate activism towards animal liberation. Activists engage in direct action—ranging from lawful protests to intimidation, harassment, and violent attacks—not only against HLS, its employees, and its employees’ families, but also against secondary and tertiary targets such as HLS’s business partners, and their business partners, insurers, caterers, cleaners, children’s nursery schools, and office suppliers. These tactics are also heavily used in prison divestment campaigns where, instead of focusing on the prison itself the activists aim actions at companies that give sizable resources to the prison. A good example of this when activists got corporations to divest nearly $60 million from the private prison industry back in 2014. They did this by reminding certain companies not only of the ethics involved but the financials of getting involved with abusive prisons which may harm their businesses due to public outcry. SHAC did this except with the worldwide Huntington labs. SHAC was also a leaderless movement, decentralized and thus not something that could easily be shut down by governments. It wasn’t until a few years ago after nearly 20 years that SHAC finally called an end to their campaign. They were successful on several fronts of getting large-scale supporters of Huntington to close and Huntington itself to resort to a bail out at one point. Reinforcing the collusion between industry and government it was the Bank of Scotland who would be the only one to step forward. None of this is to give a blanket endorsement to all of SHAC’s actions such as intimidation via firebombings of shareholder property and their general use of violence. But their social, non-violent and market based tactics should be appreciated by left-wing market anarchists interested in how we can effectively counter systematic and institutional abuse. There were also movements such as the Dirty South Earth First! (DSEF! or Dirt First!) which scott was heavily involved with and in large part grew out of the SHAC. DESEF! specifically took on the Stephens, Inc. and forced them to eventually sell their investments in Huntington at a loss after home demos, teach-ins, targeted protests and more. As such DSEF! also took part in secondary and tertiary targeting that aimed at bringing down corporations that were (in this case) heavily investing in companies that destroyed much of nature such as Pacific Lumber and MAXXAM. DSEF! only lasted for three years but in those three years they won some of their single issue campaigns including getting Pacific Lumber to declare bankruptcy not long after DSEF! disbanded. One thing I really admire about scott is his ability to laugh at himself and not take himself too seriously. And at least from my perspective it never seems like it comes from a bad place. Instead, scott knows when to be a “jackass” (as he says himself), but he also knows how to stand up for what he believes and defend it with all of his being in powerful ways. That’s something to aspire to. As much praise as I give the book the preface is night and day and especially with scott’s writing in the middle. The preface is meta-preface that explains what the purpose of a preface is. I don’t know the author very well so perhaps it has something to do with my unfamiliarity with them. But overall I found it very dense and near-unreadable at times. On the other hand the afterword is a wonderful exercise where you imagine those who have inspired or influenced you. And then you think about how they made you feel and see how you can repeat those behaviors in your attempt to build a better world. The afterword and preface are a bit jarring mixed with scott’s more simplistic but also abstract at times discussions. But in general I still enjoyed the sections where scott writes and the afterword written by Lara Messersmith-Galvin. I’d recommend this book to those who may not know much about anarchism but want to understand how flexible, inrersectional and holistic it can be. 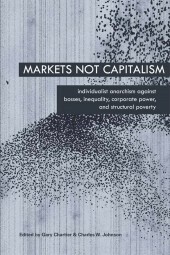 This book is also valuable for helping readers discover how much anarchists in practice can help other people through direct action, solidarity and mutual aid. Emergency Hearts isn’t necessarily a very good 101 book and it’s not quite a good 201 book either. But it’s damn good at showing what I take scott’s intention to be: Explaining the ideas of anarchism in a simplistic, gentle and caring way.